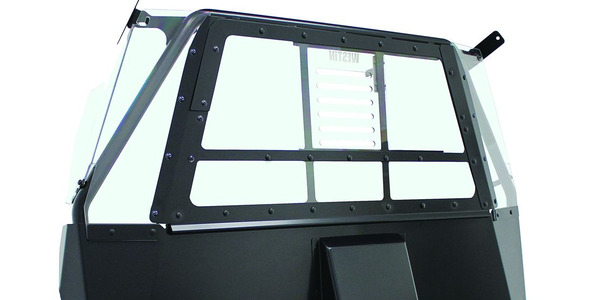 Once a law enforcement patrol vehicle is ready for retirement, the agency often chooses to sell it. How each agency approaches this task varies. 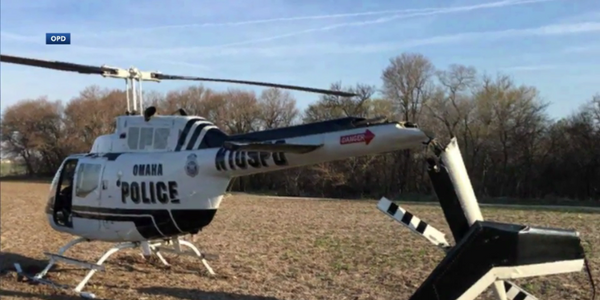 But the goal is the same, to stretch the agency's vehicle and vehicle equipment budget while making sure the vehicle's police-specific equipment does not fall in the wrong hands. Here's a look at how some agencies are handling the remarketing of their retired vehicles. The City of San Antonio buys about 195 patrol cars annually and auctions between 150 and 175 used patrol vehicles every year. In contrast to the city's basic service vehicles, selling off police vehicles involves more than just sending them to the auction house. San Antonio's fleet management has to make sure all equipment is taken off the vehicles before they're auctioned including lightbars, push bumpers, decals, side lights, and computer equipment. San Antonio's IT department and an outside vendor handle installation and removal of the radio and computer system, while fleet staff install and remove cages, lights, and push bumpers. When removing the equipment, the staff is very careful to preserve any items that are still in good working order for recycling into other patrol vehicles. "We look at everything and see what can be reused for installation into the new units coming into service," says Jorge Pérez, director of building and equipment services for the city. 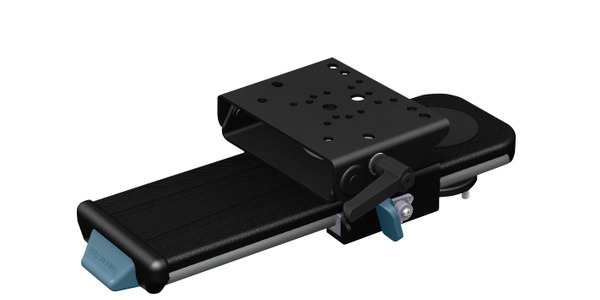 Usually push bumpers and lightbars can be used for one more cycle. Lightbar bulbs are replaced and reconditioned, and push bumpers must be in good shape before they're re-used. The city buys mostly Ford Police Interceptor Utility vehicles, and the auction house—which does both local and online auction—sells them for about $11,000 to $12,000, Perez says. 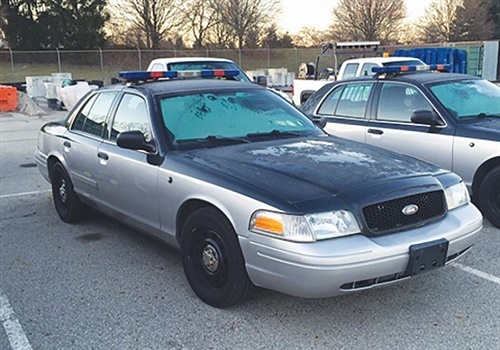 The City of Dublin, OH, is still phasing out Ford Crown Victoria sedans from its police fleet, and fleet manager Darryl Syler says he hopes to cycle out the last ones by the end of this year. The city has about 250 assets, of which 46 are police vehicles. With a life cycle of five to seven years, or 90,000 to 120,000 miles, the city typically sells five vehicles per year. Syler explains that the city removes decals and markings, but doesn't repaint the asset. The fleet will try to reuse the equipment when possible, but if it's not re-used, staff will sell the equipment to other agencies through its online remarketing partner, GovDeals. Dave Johnson, fleet superintendent for the City of La Verne, CA, says the city doesn't sell a lot of equipment. With a total fleet of 160 vehicles and a patrol fleet of 13 vehicles, he sells about three police units per year, usually after four years and at 90,000 miles. Like many others, he reuses lightbars and other equipment when he can, but he has accumulated years of old sirens and lightbars he hasn't been able to reuse or sell. To dispose of them, he put a lot of six lightbars on GovDeals but was disappointed in receiving just one offer, which eventually fell through. Johnson knows a big part of auctions is timing. He also knows movie studios, police officers, and smaller volunteer police departments will be happy to purchase the equipment. Johnson plans to put up another listing, breaking it into smaller lots. And he'll take out the police restriction on the auction, taking out the blue lenses on the lights if the purchaser isn't a police department. Traditionally, taxi work has been one of the most likely second careers for a retired police vehicle. But taxi companies are now facing a lot of pressure from rideshare services such as Lyft and Uber. Also, many cab companies want sedans and hybrids and law enforcement vehicles are now more likely to be SUVs. That means taxi companies are not buying as many retired patrol vehicles as they used to. "We have found over the last few years that we tend to get more out of our assets by selling them completely decommissioned to cab companies," Dublin, OH, fleet manager Darryl Syler says. However, as the Crown Vics—which are popular with taxi companies—continue to phase out and taxi companies lose interest in patrol vehicles, Syler and other fleet managers will have to find another market for theirs. Jorge Pérez, San Antonio's director of building and equipment services, recalls seeing many auctioned off Crown Vic patrol vehicles as taxis around town. But since the city's transition to the PI Utility, he believes the majority of his units are going to other police departments. The city's vehicles have lower mileage than other decommissioned police cars, and they've been well maintained; in addition, the wear and tear from police work make the vehicle interior not as attractive to taxi companies. Taxi services were also the main purchasers of used Crown Vics for the City of La Verne, CA. However, as these companies move toward hybrids and mini wagons, "we're not getting as much money as we used to," says Dave Johnson, fleet superintendent for the city. In the past, repeat customers would specifically look for Crown Vics from the city—this isn't the case anymore. Where a vehicle used to fetch up to $3,000, it'll now sell for just $1,000. Because of this, fleet staff members are not making as much of an effort to make them presentable as they did in the past, Johnson says. 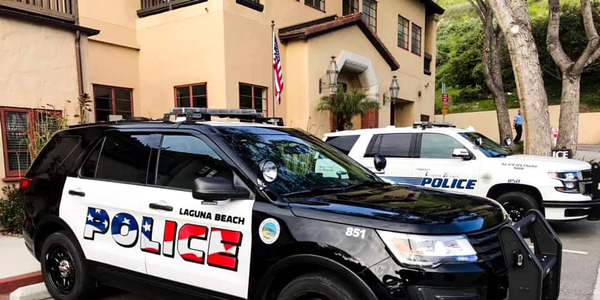 La Verne and the Dublin Police Department purchase the Ford Police Interceptor Utility. Once these vehicles begin to age out and the fleet managers start remarketing them, they'll have a better idea of who will buy them. Thi Dao is the executive editor of Government Fleet magazine, a sister publication to POLICE Magazine.